“In the yogic context, the concept of the heart carries many beautiful connotations. Anusara® Yoga is oriented toward aligning with that Secret Heart that pulsates within you. 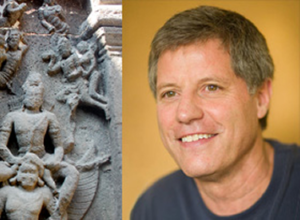 In these workshops and retreats, Bill integrates his knowledge of Indian philosophy gained through his discerning and informed scholarly study with insights refined through over four decades of his own yogic practice. He shares with participants what he himself experiences to be expansive and transforming wisdom held in texts he studies, and he guides participants in ways they can fruitfully apply these perspectives in their own lives. Bill’s teaching style is oriented toward sustained group discussion and includes periods of meditation. 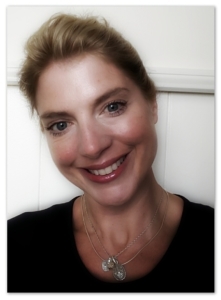 Saoirse is founder of Warrior Yoga Sligo and is an Anusara® Inspired teacher and lifelong student. 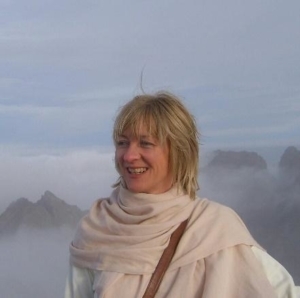 She teaches mostly from her beautiful home studio under the iconic mountain of the warrior queen Meadbh – Knocknarea . 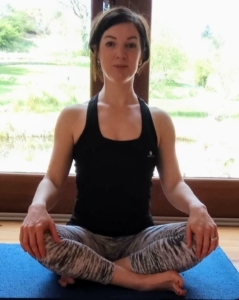 Saoirse has a playful, heartfelt approach to practice and is experienced in several styles of yoga with a keen interest in the therapeutic use of movement, mindfulness and breath. Saoirse is a 500 hour registered teacher with Yoga Alliance Professionals and has a passion for Kids Yoga. She both teaches and has written a book on Kids Yoga. This dynamic intermediate level workshop focuses on finding the support we need within ourselves, remembering our inner strength which allows us to open our hearts to the joy of living. A back-bending workshop in self-love and support, the route to Joy. 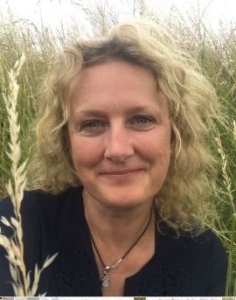 Sarah teaches Anusara® workshops and Teacher Trainings worldwide, as well as regular weekly classes in an ancient barn in the depths of the Surrey countryside in Ripley, England. Sarah has been teaching yoga for over 11 years now, and her deep passion is offering spiritually uplifting and inspiring yoga classes, blended with using the Anusara UPAs to create safe, well aligned asana. The many myths from the Gods and Goddesses of the Hindu pantheon fascinate Sarah and she loves to share these in class, along with positive, life-affirming Tantric philosophy. Join Sarah on the mat to feel physically more vibrant, and emotionally more open and ready to embrace this beautiful, bountiful, crazy life of ours! Come and start your weekend of Anusara Yoga with me on Friday afternoon. Together we will light up that inner Lakshmi and wake up your hips after your journey here. This 2 hour class will end with a grounding, centering meditation preparing you to be fully present for what promises to be an inspiring weekend of kula love! Please bring your Mala and a smile. 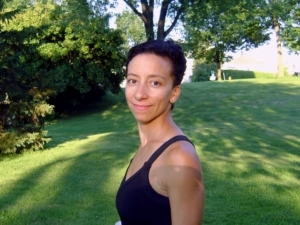 Jeannine is a Certified Anusara® yoga teacher, yoga therapist and energy-body worker from Eastern Canada. Her devotion to yoga comes from a profound desire to skillfully overcome obstacles and experience life’s abundance. Described by her students as playful and attentive, her teaching style also reflects her wisdom of, and keen interest in: biomechanics, bioenergetics, psychology and yogic philosophy. In Anusara® yoga, we move from the inside-out, we Open to Grace and connect to our core – our central intelligence. Then, we move or act with this power supporting us from within. This asana class will be a gentle but profound somatic exploration of the intelligence that supports us in the form of our deep core myofascial matrix (aka: Deep Front Line). We’ll be slowing things down, taking time to breathe, move, feel and experience from the soles of the feet, up through the pelvic floor, deep abdominal tissues and diaphragm, to the root of the tongue. You’ll refine your awareness, strengthen and align the more subtle layers of your body, and leave class feeling more centered, supported and in harmony with your True Nature. (Level: All levels. Props: 1-2 blocks). Justine Purcell is an Anusara inspired teacher from Ballaghaderreen, Co. Roscommon. Anusara yoga has been a big part of her life for well over 5 years since she first met and trained with Noeleen in 2014. She opened “Just Yoga” Studio in her home town and offers alignment based heartfelt classes which are creative, strengthening, nourishing and fun. Yoga has helped to enhance every aspect of Justine’s life so she loves sharing her knowledge and experience with people who are interested in the benefits of exploring a mind, body and heart practice. Justine has completed 500 hour of training. Spend some time in the wonderful world of backbends, using the concept Lila the Sanskrit word for play. This backbend class will open your heart as well as your spirit. This practice will allow you to connect to a deeper sense of self while accepting everything as is. Noeleen has practiced and taught yoga for many years and is also a registered yoga therapist, C-IAYT. She has trained and been guided by many wonderful teachers and is hugely grateful to each one for the gifts they have given and the inspiration and light they have shone along the way. Noeleen draws on her extensive knowledge of body mechanics developed through her years of training, teaching and ‘hands on’ experience as a cranio sacral therapist to guide her as a yoga teacher. She encourages students to tune into their innate ability to heal through awareness, alignment and practice. Her classes are informative and lots of fun. Noeleen is founder of Ard Nahoo and leads 200 and 300 Level TTs. Sirsasana or headstand and its twin sister Sarvangasana or shoulderstand are wonderful poses that create strong and beneficial effects on our physical and on our subtle body. Here the heart rules the head with an uplifting, softening and deeply calming effect. To practice these poses well and with respect for the structure of our neck and head we will dance with the polarities of Grit and Grace. Grit is the discipline of remembering your worth by drawing in to support, stabilise and honour your self. Grace is the expansion of light from within that turns the ordinary into the extraordinary and effort into ease. Let’s dance. The path of yoga began in 1996 and opened Tiffany to the gifts of tenacity, surrender, and reverence for life. A certified Anusara© yoga teacher, she holds space for learning to be playful and connected to the Source of wisdom. Passionate about living life with skill, she combines non-dual Tantra, functional anatomy, mythology, mantra and mudra to the art of transformation. Tiffany draws from the experience of owning a small business, extensive training as a body worker, life coach, and shamanic healing arts. She inspires students to look within and love what’s there. 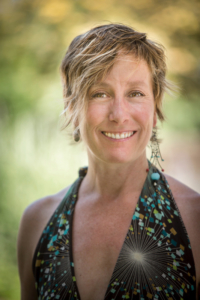 “Yoga is looking within and loving what’s there.” Tiffany brings tremendous depth to the therapeutic aspect of yoga and emphasizes “Radical self-acceptance” as the guiding light she has offered for 23 years of teaching. Tiffany serves ASHY as director of Community Relations and is a Certified Advanced Teacher Trainer offering credit toward the 300 hour requirements. Just as it took Vismamitra time and patience to become a sage, recognize true power vs. force by allowing core strength and a steady mind to reveal flexibility. Let go of immediate gratification and allow this twisted, deep hip and shoulder opening, arm balance practice to patiently reveal the balance of your inner Sage. The boon of the practice will be learning how to listen to the wisdom of your psoas so that you move from the fine line between internal power and outer strength. The world is a dynamic process, every moment, every experience, is being created, as well as simultaneously being destroyed. Kashmir Shaivism calls this pulsation the ābhāsavada. This practice will call you to move into the play of pulsation through an upbeat, full spectrum practice that builds your connection to the Five Acts of Shiva. Discover that Grace in Tantra means there is a movement within us to a more expanded experience of Consciousness. The boon of this practice will be the experience of how to cue the Five UPA’s in a flow-style practice. connection to the divine in all its chaotic glory. Her love of yoga has led her to study with many diverse teachers and traditions. She teaches in Boyle Yoga Shack and on Inishbofin where she runs and hosts yoga retreats and events. She is an Anusara® Inspired Yoga Teacher. In this class we will be exploring the Koshers through a combination of asana and pranayama, incorporating gentle twisting poses and culminating in some fun and challenging twists. We will explore with curiosity the deep and sacred heart of our authentic self, uncovering our five progressively subtler bodies that compose our unique and authentic personality, We will recognize how the twists and turns of life can reveal and nourish us despite challenge, revealing the hidden heart that hides behind the blockages of life that we can unconsciously bury in our body layers and allowing the flow of prana to run freely to nourish our entire system and ultimately experience connection to heartfelt personality. Bridget teaches internationally as well as running Anusara teacher training programs in London, Bali and her home in Cornwall. A senior teacher and a certified Anusara teacher since 2001, after spending the 80 ‘s teaching in the fitness industry, Bridget focused on yoga having meet John Friend in 1994, where her focus turned from Iyengar yoga to Anusara when the school 1st established. She teaches with passion and humour and her greatest wish is for more compassion and peace in our lives, our communities and the world. Riana completed her initial yoga teacher trainings long before her first experience of Anusara® in 2010. She is currently awaiting her Inspired certification having completed Anusara Immersions and further trainings in recent years. 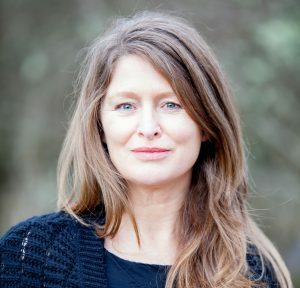 She sees yoga as a constant exploration, a lifelong adventure, an on-going process, both on and off the yoga mat, every day, and her continued studies inspire her experience of yoga as a way of being, of connection with self and the world. Riana teaches Mindful yoga and Yoga Nidra at The Sanctuary in Dublin 7. In this slow, deep flow class we explore yoga as a gentle strength. Staying close to the breath we cultivate a calm concentration. Finding the still point within, we listen to the inner guide of the heart and navigate our pathway to vibrancy and radiance from a space between ease and effort, gentleness and strength. Daithí is an RYT 200 Hrs. registered teacher and is currently undertaking a 300 Hrs. Anusara yoga advanced teacher training program. He teaches Hatha, Yin, Yoga Nidra and mindfulness meditation. Happiness, wellbeing and access to healing is all about finding holding in nature. The more elaborate and involved the conversation becomes, the stronger and more resilient we will become. The more abstract it is, the weaker and more prone to illness, depression and addiction we will be. Narrowing the divergence between one’s true self (intuition, spirit, soul, etc.) and the persona one lives out in the day-to-day world can lead to all kinds of insights and healing. 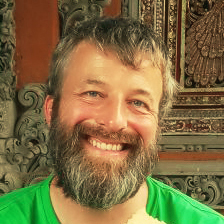 As such, Daithí works with people on the theme of self-inquiry, employing various forms of meditation, yoga and creativity. He regularly facilitates ‘Yoga & Creativity’ workshops incorporating therapeutic art-making and elements of the Social Dreaming & Deep Listening frameworks. Daithí is currently researching a framework which combines Yoga Nidra and Art Therapy for his Art Therapy Masters dissertation. Daithí loves the sea and is a keen freediver (4* AIDA – Assistant Instructor). “Yoga Nidra is a great treasure, a potent meditative resource for healing, insight, and empowerment. It’s a state of consciousness in which we are invited to re-encounter the essential truth of who we really are. Yoga Nidra provides us with the opportunity to experience deep freedom. 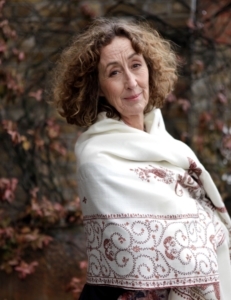 It welcomes us all home to ourselves.” – Dr. Uma Dinsmore-Tuli, Yoga Nidra Network. Yoga Nidra is a state of consciousness between waking and sleeping. It is a state in which the body is completely relaxed, where the practitioner becomes systematically and increasingly aware of their inner world by following a set of verbal instructions provided by the instructor. Neither a technique, nor a practice, Yoga Nidra is a process for entering into an effortless state of being. Although literally translated it means ‘yogic sleep’, in fact it is not a sleep, but an awakening. This 1-hour class is a deeply nourishing and relaxing guided meditation. To begin, the student finds an optimal relaxation position supported by props (typically supported savasana with blankets and eye pillows) and is guided into a state of deep relaxation by following instructions provided by the teacher. The class typically involves poetry recitation and gentle music. The only requirement of the student is to relax and listen! The practice of Yoga Nidra has been found to reduce tension and anxiety. The autonomic symptoms of high anxiety such as headache, giddiness, chest pain, palpitations, sweating and abdominal pain also respond well. It has also been used to help with posttraumatic stress disorder (PTSD). This class is open to everyone and no prior yoga experience is required.